As we know that FIFA Mobile for FIFA 17 is out with three new features, and it seems a little difficult to make coins easy via FIFA Mobile. 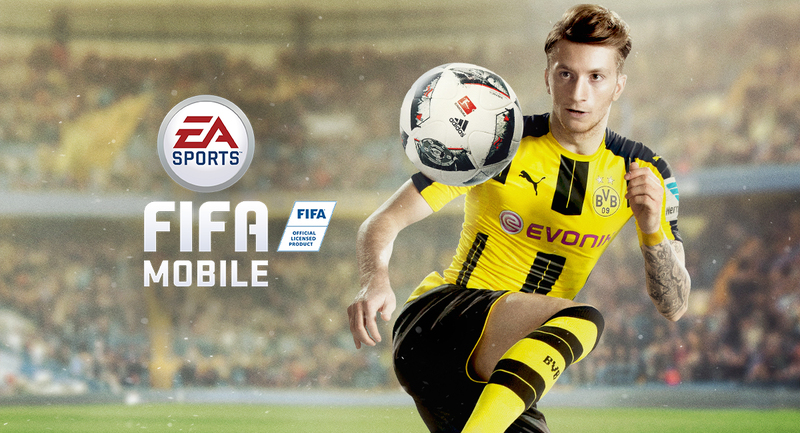 In this page, here are some tips to help you make more FIFA 17 coins in FIFA Mobile. First, take advantage of the trade market. The simple way is to buying low and selling high. Keep your filters set for the Market to show you just players with a rating of 70 and over, with a BIN price between 500 and 1800 coins. The idea is to bid as soon as you see a player that hasn't been snatched already and then sell him immediately for a bigger price. As soon as you buy that player (ideally for a price that's as low as possible), put him back on the market with a starting price equal to the amount you have paid for him and a BIN that's a few hundred coins more. Set the timer to 8 hours and wait: you will usually sell the player for the BIN price and make a nice profit. Of course, this works with players that you can buy well under the market price and still manage to sell under the market price or at an equal price. Second, play the live events will pay coins back once you've completed. The ones you can replay will also give you a good amount of coins each time you play, so if it’s just money that you’re interested in, it’s better to play these Live Events instead of the Attack Mode. Third, begin a season immediately. Once you've reached level 8, you gain the access to the season. Begin a season immediately as the season rewards you with tons of coins, 800 for a win and 400 for a draw, while also giving you extra coins every now and then when you complete additional trophies. Besides the market trading, you can earn a ton of coins in FIFA 17 Mobile by simply being active. If you are looking for some else ways to make more FIFA 17 coins, you can also see FIFA 17 Ultimate Team - Ways to Make FUT Coins. Hope the tips are a little beneficial to you and enjoy the game.